Loved it and forwarded it to my boyfriend who is a car nut (so much so that he can put together a car out of flakes of rust… like a magical Golem car that defends you against public transportation). I’m delighted to have found your blogs due to the wonderful people at www.king.org (classical station in Seattle), who linked their site your “Pachelbel rant”. I guess they have a problem with Johann Pachelbel (loved the line "they are all named 'Johann'..."). I took cello in third grade, by the way. I can relate. I could barely reach around that resonating furniture to hold on to the bow. Please, please, please give us more rants! Create the “Rants” DVD! I hear it could make a great present. So tell us, now, how do feel about Ravel's bolero? How many time does that motif repeat? I have a whole list of annoying classical stuff: The 1812 Overture, Radetzky March, Fűr Elise (aka "Beethoven going all Rumsfeld on us")... Yes, I have more but I’ll stop now. You crack me up. Thanks for making me smile! My name is Daniel GreenWolf, a professional magician out of CT and, like you, I face many problems sometimes being accepted in certain venues because I do magic and comedy. I was just wondering when you'll be making the next Life As a Comic. Please keep them coming. Hey Rob - greetings from New Zealand! We greatly enjoy your show - it'd be great to see you should your travels take you down south. I'm sure you'd enjoy a bit of a break in the south Pacific too? Thanks for great videos, they always have us laughing! hey i was juss looking for Download Home and Away while googling and stood by or blog.Must say nice blog, Truly appreciated!!! Thanks for this post. I am a big fan of tv shows and I do not miss any series. I love to Watch TV Shows Online. And I really enjoy it here. Here, you will get access to almost all the well known TV shows like 30 Rock, Bones, Lost, Smallville, Heroes, House, Family Guy, The Simpsons, American Idol, Glee, Oprah Winfrey Show and many more. You will be able to download TV shows and Watch TV Shows Online as well. I just stopped by say that I find your blog very witty and interesting to follow! http://downloadyoutubevideo.net/ here you can download YouTube video for free! Great post! 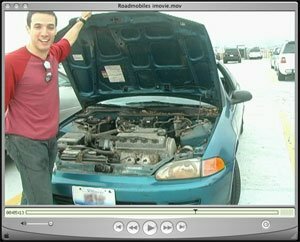 As great as my favorite converting avi to mp4 program is http://freeavitomp4converter.com/! It is free and very fast! This is such a great post! Lovely reading and time spending! In my turn I'll spread a word about YouTube to MP4 Converter http://convertyoutubetomp4.net/ This program allows to download videos from YouTube onto your computer for free! Lovely entry! You're doing great! Check out my website pdf editor free download ! Thanks for sharing! It's an amazinf videoblog.